We are strongly committed to our duty of care towards investors, ensuring independent decision making at fund level whilst benefiting from synergies with FMO. We are strongly committed to our duty of care towards our investors, ensuring independent decision making at fund level whilst benefiting from synergies with FMO of which we are a wholly owned subsidiary. To ensure FMO Investment Management can exercise its duty of care towards investors our policies & procedures are designed to be effective and create transparency. In many instances these are aligned with or based on those of FMO NV as we share the same values and business principles. FMO has for example a high quality investment policy taking environmental, social and corporate governance impact into full consideration before making any investment decision. 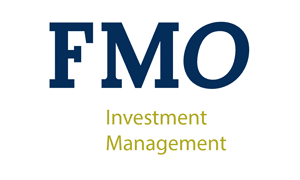 As the funds we advise upon always invest alongside FMO, all fund investments meet FMO’s standards.